These DVD case insert high gloss sheets have a bright white, mirror smooth glossy surface and make exceptional printed DVD case inserts. These are the best photo quality DVD case inserts available for 14mm standard size DVD cases. They work great with laser printers or inkjets! They have micro perforations for easy tear down to 10 3/4" x 7 3/16" which is a custom fit for 14mm spine DVD cases. 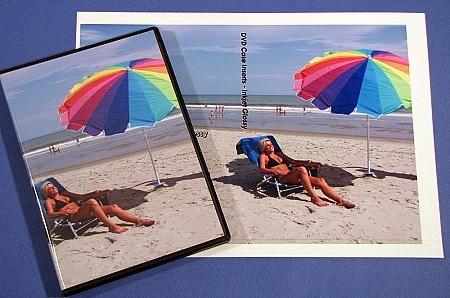 These DVD case inserts are photographic quality, non-smearing, fast drying stock. 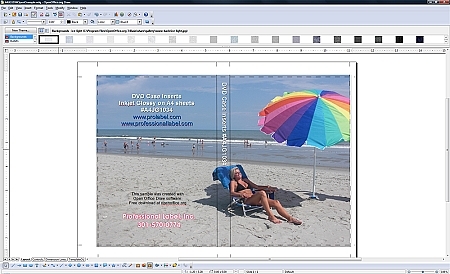 Great for full bleed DVD storage case graphic cover designs that require vibrant colors and fine detail. These are for use on inkjet printers or laser printers. They are cast coated stock and are specifically designed for optimal results using high resolution printers. These Professional Label brand sheets are compatible with the following software programs: Memorex ® software exPressit tm as well as many other popular labeling programs. 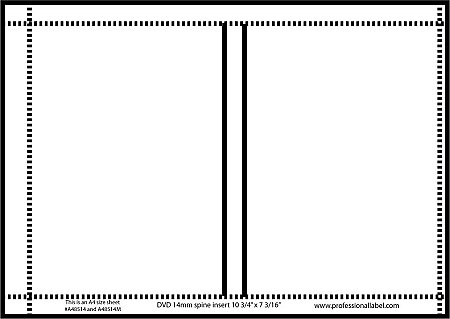 PDF and Open Office Draw templates are available as well.Or, just download the free software and template below. Professional Label, Inc. and its products are not affiliated with, sponsored, approved, or endorsed, in any manner, by Memorex products, Inc. All trademarks are property of their respective companies.